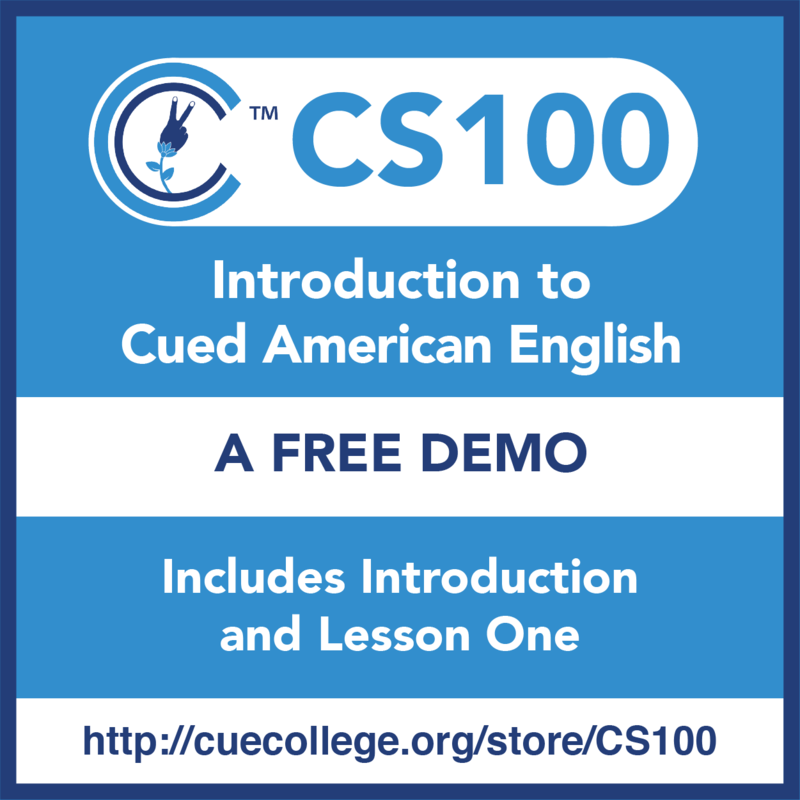 The demo version of CS100 includes the course introduction and the first lesson which covers handshape 5 and mouth placement. 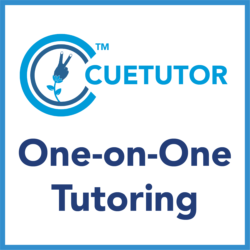 Lesson one includes video demonstrations and practice videos for expressive cueing. 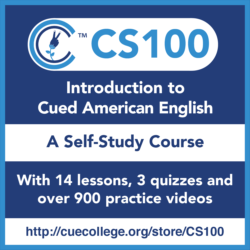 Complete all 14 lessons to gain a basic understanding of all the phonemes, handshapes, and hand placements of Cued American English as well as strategies for improving fluency! 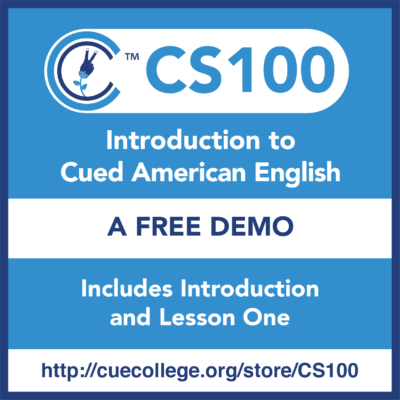 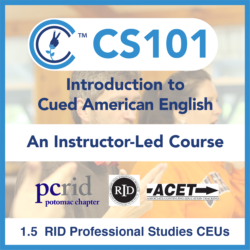 This demo course will give you a preview of CS100 – Introduction to Cued American English, a self-paced course that includes over 900 videos and many cue tips on cueing with accuracy.